We are happy to say that our WordPress Theme Challengers is now supports Soccer (Football) Sport. Challengers – WordPress Theme for Soccer and Basketball Clubs. Eye-catching fully responsive design gives a pleasant user experience and leaves a stunning impression. SportsPress features offer an easy way to manage Events, Fixtures, Tables, Players profiles etc. Built with HTML 5, CSS 3 and Bootstrap 4, the theme puts forward its abilities based on the latest web technologies. WooCommerce provides online shop functionality with ease. 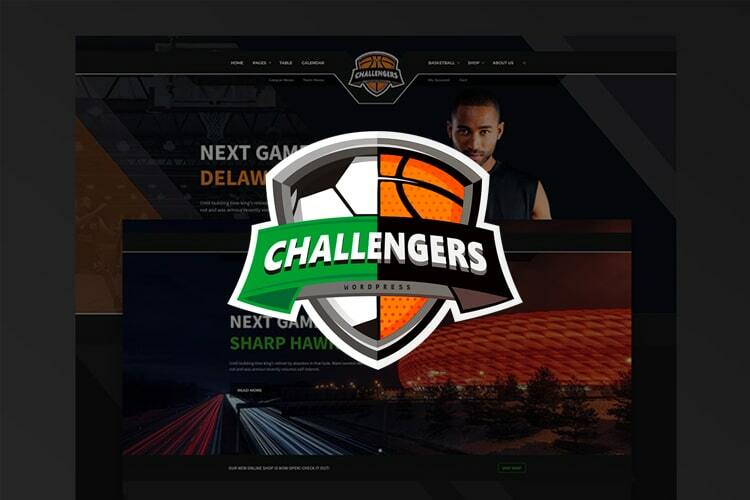 Challengers – the way to create a great Soccer and Basketball Clubs website. Please note: demo images are not included (placeholders are used instead). Slider Revolution is not included. Some simple additional actions are required after demo import (listed in the documentation). The theme after the demo import may look a little bit different in comparison with the live demo although the difference is insignificant. We are a web development studio that creates themes for WordPress.